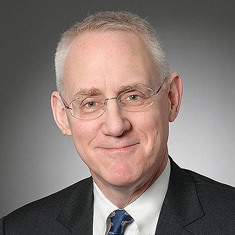 Andrew L. Jagoda serves as co-head of the New York Real Estate practice and a member of the firm's Board of Directors. He focuses on real estate financing, development and construction, and the workout, restructuring and sale of distressed assets, net lease transactions, joint ventures and leasing (both space and ground leases). Andrew represents a wide array of clients, including insurance companies, banks, developers, foreign and US investment funds, family-office investors, landlords, tenants and nonprofit organizations. He advises on the financing, acquisition, construction, leasing and sale of a wide range of properties, including office buildings, hotels, retail centers and multifamily properties, both market-rate and affordable, on an individual property basis as well as on a portfolio basis. Andrew has extensive experience representing lenders in a broad spectrum of loan transactions, including construction loans, ground lease financing, multiproperty financing, mezzanine financing and the financing of ground lease payments. He also has considerable experience representing lenders with the workout, restructuring and foreclosure of real estate and construction mortgage loans for office buildings, hotels, condominium projects, multifamily buildings and industrial properties. Andrew additionally represents borrowers in negotiating workouts with banks and commercial mortgage-backed securities (CMBS) servicers. Before joining Katten, Andrew served as counsel at the Resolution Trust Corporation (RTC), a federal agency charged with the disposition of real estate assets from failed financial institutions. While at the RTC, he advised on the disposition of approximately $4 billion of assets. In addition, he represented China Huarong Asset Management Corporation, an agency of the government of the People's Republic of China, in a series of bulk sales of more than $1 billion of non-performing loans and foreclosed properties, structured as joint ventures between Huarong and investors. These were among the first such transactions conducted in China. Andrew also has represented various private foundations in the recovery of art stolen during the Holocaust.